Before your box arrives … post on Facebook! The intention of this post is to be authentically enthusiastic about why you’ve decided to get started on your journey with Isagenix and simply sharing your excitement with your Facebook network. The other facet of this, is that a natural level of curiosity develop amongst your friends who will want to learn more about what you’re doing. "After watching my friend (Enter and Tag Enrolling Sponsors Name) release/experience/have _____________, ___________, and __________ in just _________ number of days, using an amazing Superfood Nutritional Cleansing system, I decided it was time for me to experience similar results, because I was tired of feeling _________, ___________ and ________. I’m so excited to get started and to get my body back. My system hasn’t even arrived yet and I’d love to have some of my good friends join me on this journey so we can hold each other accountable and get the healthiest we’ve ever been together. Who’s up for looking and feeling their best?" Congrats! You've used the Facebook posting template and have a ton of people who are interested in what you have to offer. What do you do next? Follow this simple & proven formula. First things first, when they make comments on your posts, many people will ask, "What is it?" We never say Isagenix in the thread. Why? We don't want them googling Isagenix, seeing how amazing it is, and then signing up on someone else's site. So, all you need to do is say something like, "It's amazing @name, I'll send you a pm with more information." It's awesome that you want to join me in doing this. I'm committed to releasing/experiencing, etc _________________________ in the next 30 days. You: I've definitely heard lots of stories of people just like you who have done just that on this system. Them: Great, I can't wait to learn more! You: Since I'm just getting started, let's do this. There are two brief videos which explain how and why this system is so effective. If I sent it to you, would you watch it? You: Great. When can you watch it, for sure? I Ask because the next step after you've watched them is to hop on a call with my Mentor/Coach. You'll love them, they are edify, edify, edify and can really help get all your questions answered. Them: I can watch it when I get home tonight from work. Around 6pm. You: Great, so if (mentor's name) and I were to call you at 6:30pm you'll have watched them? You: Ok, cool. Let me just confirm that mentor is available at that time this evening. They're super busy, so if not, are there some other times tonight which work for you? Them: I'm pretty open, so any time really. You: Mentor's name says 6:30pm works for him/her. What's the best number to reach you on? You: Ok, great. We'll call you then. You: They can't do 6:30pm, but they can speak to you at 8pm. Does that still work for you? They're completely booked tonight. They can do tomorrow morning or afternoon. Which works best for you? You: They can do either 1pm or 2pm, which works best for you. Them: 2pm would be great. 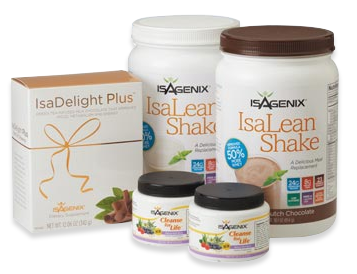 SHAKE FLAVORS - ANY COMBINATION OF VANILLA, CHOCOLATE, VEGAN BERRY, BLACK SESAME, OR 36G ISALEAN PRO (+$9 PER BOX) CHOC OR VANILLA (FOR A TOTAL OF 4) - DO THEY WANT CANISTERS OR PACKETS? E+ SHOTS - ADD'L $17.10 PER 6 CT. Follow the instructions below detail by detail. Create username (first name last name no spaces), set password to 654321, input personal Information, & continue. Select a pak for the initial order. Follow customization steps and select wholesale order. Enter credit card and billing address. You can split between two cards if needed. Set up autoship order by dropping 4 boxes of shakes into the cart. They can change this Later. Review autoship order. Open calendar and set two days back, select 28 day cycle for autoship. Double and triple check all information and place order. You'll know you're done when you Receive a customer id and confirmation number. Send Welcome Email refer to 5-Step System for next steps right away! Commit these 5 steps to memory and do them with every single enrollment right away! Upline/tm then shares a 90 second Isagenix testimonial (Business & Product! ), support, and friendship and then hang up! The sole intention of this call is for the new member to receive enthusiastic support and confirmation that he/she has made a great decision by getting started with us. That's it! Call should not last more than 4-5 mins. First question to be asked on this call, "Have you reviewed all of the information in the welcome email I sent you? And have you read and gone through all of the materials in your box?" If no: "Great. Call me back as soon as you have. Most of the answers to your questions will be in what came in your box, so once you've read through just let me know and we'll hop back on the phone to answer any remaining questions you have." If yes: "Great. What questions can I answer for you?" Do not be the expert. Answer basic questions only. All other questions are to be re-directed to dr. Ina's call or Facebook groups. Confirm that they've enrolled in the Isabody challenge. If they haven't, walk them through enrolling on the call. Set hard appointment for day 21 to discuss progress & following month's autoship order. "I only have 2 mins, but I'm thinking of you...How's it going?" "How's day 1, 2, 3, etc.?" "What changes are you noticing?" These check ins are also a great time to ask for referrals, remind them to post an update on Facebook and help them start earning! Dont be afraid to tell them to call dr. Ina or use the groups for specific product questions. If there's unresolved product challenges, get your mentor on the phone with them asap! Teach everyone to be self sufficient. Leverage your time by teaching everyone to use the tools. Welcome to Team BEST and congratulations on making the choice to take your health to the next level! Click here to login into your online account. Step 1: Do the Ready step at www.livingyoubesteveryday.com to start earning right away! Step 2: Make sure you've been added to our private Facebook for free coaching and support. Step 3: Review the 30 Day System Guide. Step 4: When your box arrives review the information packet, listen to the CD's, and locate the measuring tape and measuring chart to properly track your progress. Make sure to take photos on Day 1 and Day 30. Step 5: Enter the IsaBody Challenge. Everyone on our team takes part in it. It’s awesome for Accountability, Support and a chance at winning $25,000 and an All-Expenses Paid Cruise!! Call me when you've done this so I can answer any remaining questions! Step 3: Review the Energy & Performance System Guide. Robert Kiyosaki: What is this? "Your business will grow to the extent which you do." In your first week: Go consultant and get paid! Grab a Launch Party Kit and plan your party! Step 1: Do the Ready step at www.livingyourbesteveryday.com to start earning right away! STAY ORGANIZED. KEEP NOTES. FOLLOW UP. IF YOU TREAT IT LIKE A HOBBY, IT WILL PAY YOU LIKE A HOBBY. IF YOU TREAT IT LIKE A BUSINESS, IT WILL PAY YOU LIKE A BUSINESS. “Before I found this system, I was feeling ____________, ______________ and _________ and I’d had enough. After watching tons of my friends get results, I finally decided to get started on an amazing superfood nutritional cleansing system and I can’t believe what’s happened! track who's 1/2 way to consultant, up for double pib's, enrollers club, etc. Follow the activity of your downline, new enrollments, rank and advancements, etc. Before Your box arrives...post on facebook! NOTE: These posts are written in a specific way and are proven to get results. We highly recommend you not change them in any way. "After watching my friend (Enter and Tag Enrolling Sponsors Name) release/experience/have _____________, ___________, and __________ in just _________ days, using an amazing Superfood Nutritional Cleansing system, I decided it was time for me to experience similar results, because I was tired of feeling _________, ___________ and ________. I’m so excited to get started and to get my body back. My system hasn’t even arrived yet and I’d love to have some of my good friends join me on this journey so we can hold each other accountable and get the healthiest we’ve ever been together. Who’s up for looking and feeling their best?" I’ve spent months going to the gym (or thinking about going back to the gym) with little to no results. I’ve tried everything from GNC to Green Juice and nothing seems to be working. The reality is, I’m committed to losing weight, putting on muscle and just feeling better with my shirt off. After watching my boy (Enter and Tag Enrolling Sponsors Name or Male Teammate) experience/release/gain, etc ____________, __________, and _________ in just _______ days, I’m convinced I've finally found the answer. I’m looking for some of my buddies to run with me on this. Who’s up for stopping the struggle and starting the path to actually getting results?